Have you seen a 212 number that you like but aren’t ready to to sign up for full service yet? You can go ahead and order it right now and receive 100 minutes of call forwarding each month. The trick to doing that is by parking the number, and 212areacode.com is happy to help. 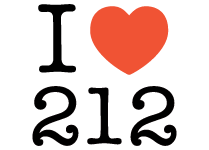 Through our easy service, you can snag a great 212 phone number and park it until you’re ready to use it full throttle. Whether you’re waiting to buy a new device or just want to have a backup number to use down the road, parking your 212 number is easy and convenient, simply enter the number you purchased below and subscribe to the Parking service for 90 days. To park a 212 number, you just have to pay a small fee. Enter the number you purchased below and For just $12, you will be able to park your 212 phone number for 90 days and get 100 FREE call forwarding minutes. Most people only need to park their 212 numbers for limited periods of time, but it’s nice to know that you have this kind of flexibility. As you can see, all of your 212 number needs can be met at 212areacode.com. From finding the perfect 212 phone number to parking it for later use, we are ready and available to accommodate all of your needs. Get started right this minute by choosing the 212 number that’s right for you!